This was highlighted by Prime Minister Voreqe Bainimarama in his New Year’s message. The PM says the first of January marks the next chapter of our history which is waiting to be written and it will take every Fijian family, to fill its pages with even greater achievements. Bainimarama says 2018 was a momentous year of achievement as Fiji successfully wrapped up its Presidency of COP23 by handing over the reins to the Polish Government for COP24. He says that we’ve seen firsthand the worsening floods, cyclones and droughts and we know that climate change is already upon us and it’s getting worse every year. 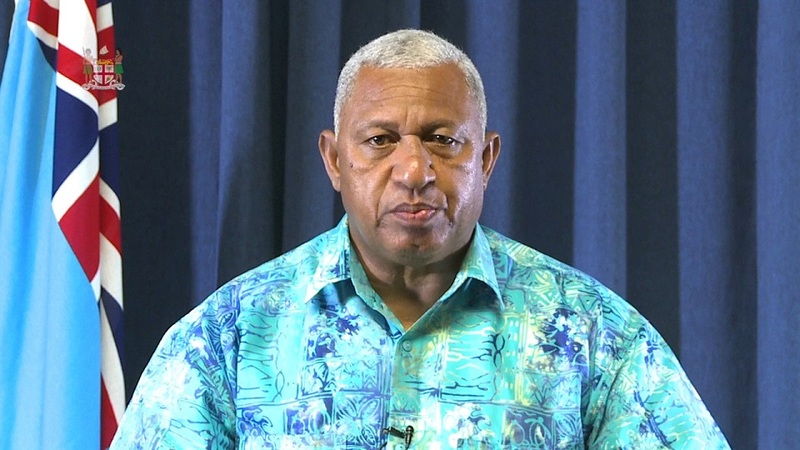 Bainimarama assures Fiji that everyone will remain on the front-lines of this global campaign, as this is the level of commitment we owe our future generations. With another successful election in 2018, Bainimarama says he will give Fijians every ounce of his effort and commitment as the nation’s Prime Minister. He says he will work with the people to take the nation forward. The PM also elaborated on some of Fiji’s highlights in 2018, such as growing the country’s economy for the ninth straight year which is the longest uninterrupted stretch of growth, the passing of a bold and unprecedented national budget, the introduction of Walesi, along with new free Wi-Fi hotspots through the country, making 2018 the year that Fiji truly broke into the connectivity of the 21st Century. Bainimarama adds Fiji also came together to bounce back from the devastating flood caused by Tropical Cyclone Gita, Josie and Keni. He says the Government also brought more electricity, new roads, bridges, more advanced medical and governmental services to a record number of Fijians. The Prime Minister says only together, as a united nation – can we make 2019 another year of historic proportions. Bainimarama wishes all Fijians a blessed, safe and a very happy new year.